Calculus. Trigonometry. Geometry. Those three words strike fear in the hearts of some homeschool moms. Understandably so. Unless you’re a high school math teacher, you may not have had anything to do with subjects like those since high school or college. It isn’t as though you’re calculating derivatives in your kitchen. So, what do you do if you have a teen who will be studying one of more of those high school math subjects? Let me offer you some tips for Calculus since it is the most challenging. You can use a similar process for other high school math courses your teen might do. The first thing you need to do is look at all the possible ways your teen can study this course so you can decide which path to take. The first two options mean that someone else will be teaching your teen, at least in part. An outside teacher may or may not be involved with the third option. With the last option, the responsibility of teaching the course falls on your shoulders. How much can you afford? Dual enrollment is free in some states. Online courses can cost more but can sometimes be more helpful. Curriculum can be purchased new or used. Free resources are available which I will share with you below. What do you have time for? Do you have time to get involved in a co-op or drive your teen to a college? Do you have time to learn or relearn a higher math course? How much of a self-learner is your teen? Is he capable of taking on the subject himself? Is he good at finding answers to his questions in books or online? What are you capable of? Can you learn or relearn a subject like Calculus so that you can help your teen out when he has questions? If you decide that your teen will be learning Calculus at home via an online course or physical curriculum, then here are some tips and resources that can help you out. Your curriculum is the foundation of your Calculus course. It can mean the difference between making learning easy or difficult for your teen. Here’s a list of homeschool calculus curriculum that you can investigate. Take a look at how the material is presented in each of these. Some are straightforward while others take a fun approach. Some have videos while others use books only. Decide what approach will work best for your teen before you buy. Whether you’re looking for a free textbook or simply want some extra sources of information, the internet has something that will help you out. For example, here’s a list of websites with tons of free resources for teaching Calculus alone. It includes online courses, textbooks, problem solvers, quizzes, games, and more. There’s no shortage of helpful materials on the web. If your teen gets stuck on a topic, sometimes it just takes someone else’s explanation to help him understand it. That’s where YouTube comes in. It has everything from short videos explaining single math concepts to full lectures. You can find a list of YouTube channels with Calculus videos here that can help your teen. There are a variety of apps available to help students with math. They include graphing calculators, reference sheets, guides, problem-solvers, exam prep, and more. Here’s a list of apps for learning just Calculus (although some are useful for other subjects too). If your teen is going to be learning that subject, I suggest you check it out. You might find something useful. Sometimes you can find books at the library that offer a simpler explanation about a difficult concept. The ‘For Dummies’ series, for example, can be helpful. If you’re teaching your teen Calculus and you both get stuck on a concept, you may want to look for someone else to help you out. This can be a friend or neighbor who knows the subject, or it can even be a private tutor. Don’t be afraid to ask when you get stuck. Many people are happy to help a student in need. 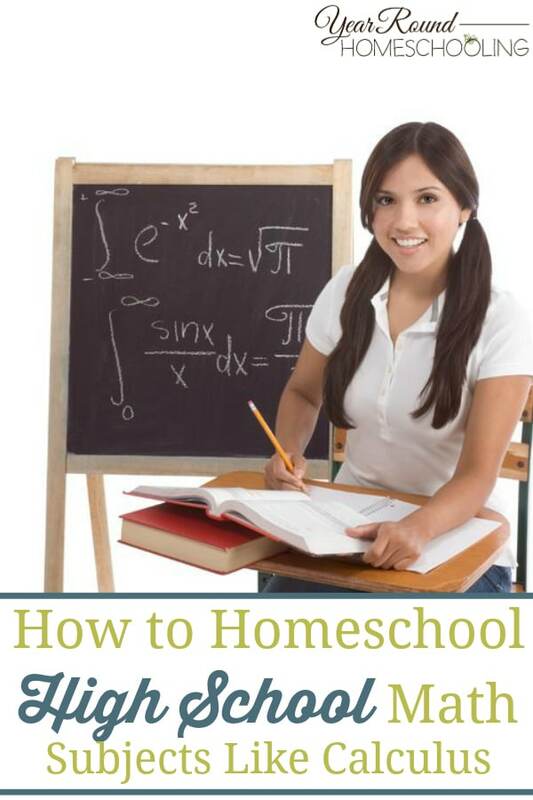 Do you have any tips or ideas for homeschooling Calculus or other high school math subjects? Susan is a former teacher who homeschooled her two children as a single mom. She loves praying, reading books, playing games, listening to music, and drinking coffee and tea (sometimes together, sometimes not). 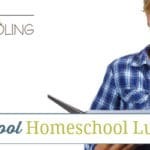 She finds curriculum, tips, resources, and deals for homeschoolers and puts them into neat little categories on Learning Online Blog because she likes to be organized (at least, most of the time). You can find her on Facebook, Pinterest, Instagram, and Twitter.